The NorTrac® 3-pt. 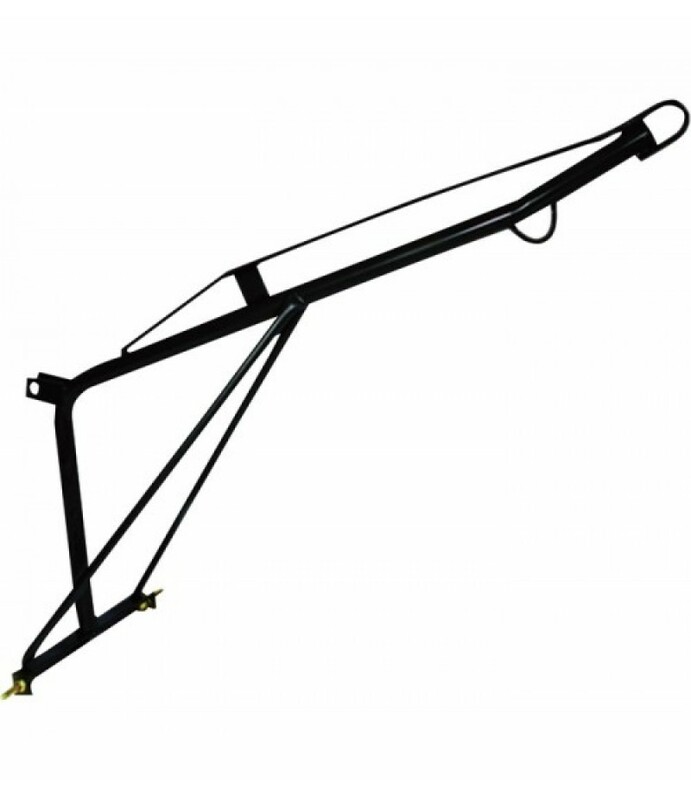 bale spear features a vertically adjustable, heat-treated center spear and 2 welded stabilizer bars to provide extra hold. 2,000-lb. capacity.What's Included(1) Bale spearFeatures + BenefitsVertically adjustable.. The NorTrac® 3-Pt. 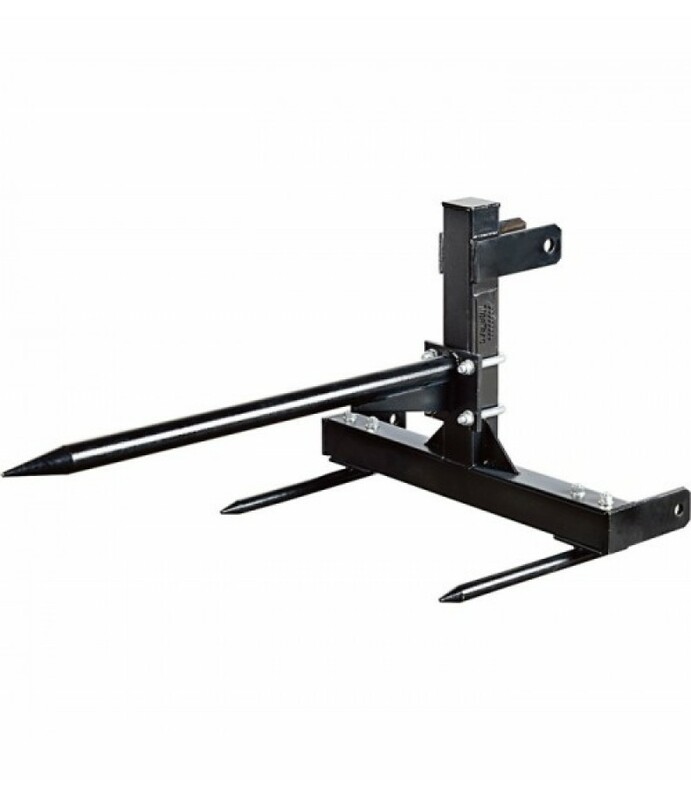 Boom Pole pole provides a safe and effective way to lift and move engines, building materials, farm equipment, implements, and other heavy equipment. 500-lb. 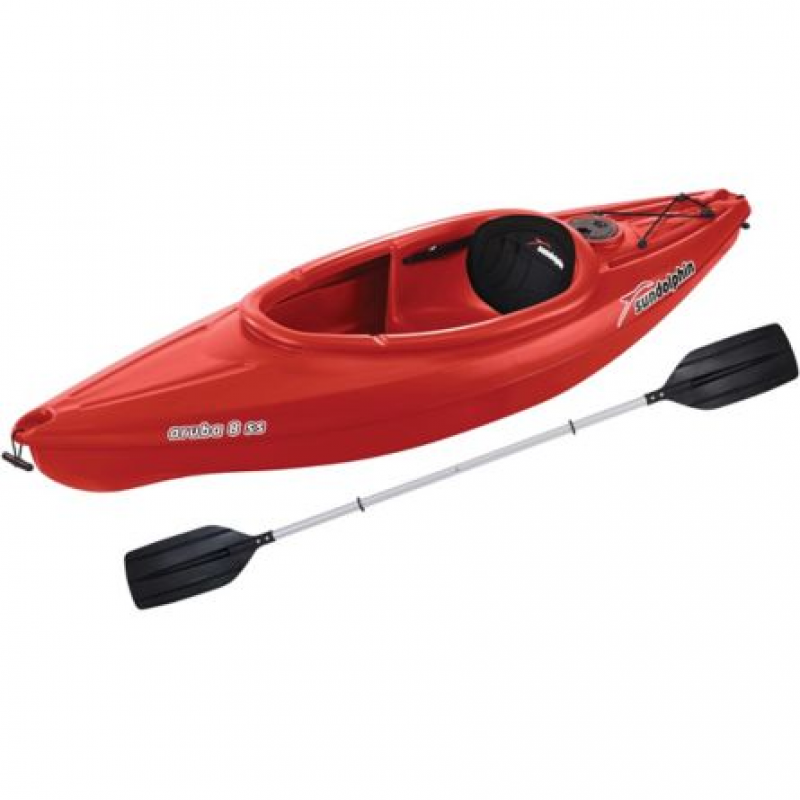 capacity.What's Included (1) Boom poleFeatures +.. The NorTrac® 3-Pt. 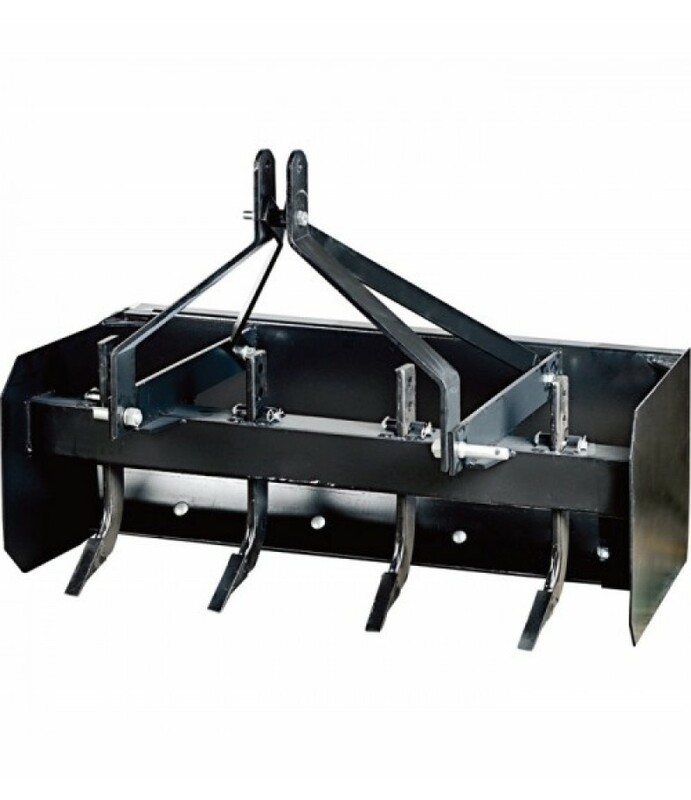 Box Scraper has a rugged welded steel frame with reversible 1/2in. x 6in. high-carbon steel blade. 4ft. working width. Recommended for tractors with no more than 50 HP.What's Included(1) Box scraperFeatures + Be.. 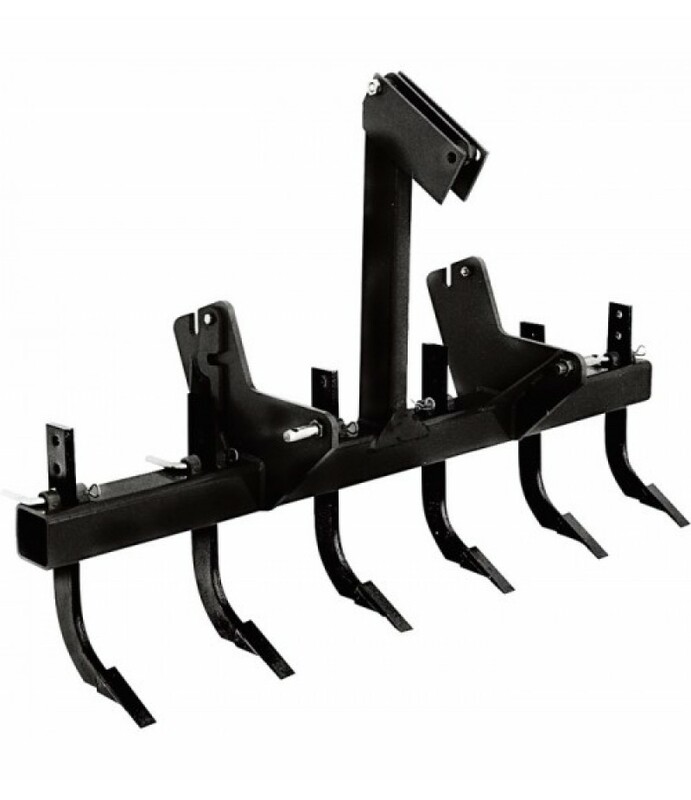 The NorTrac® 3-Pt. 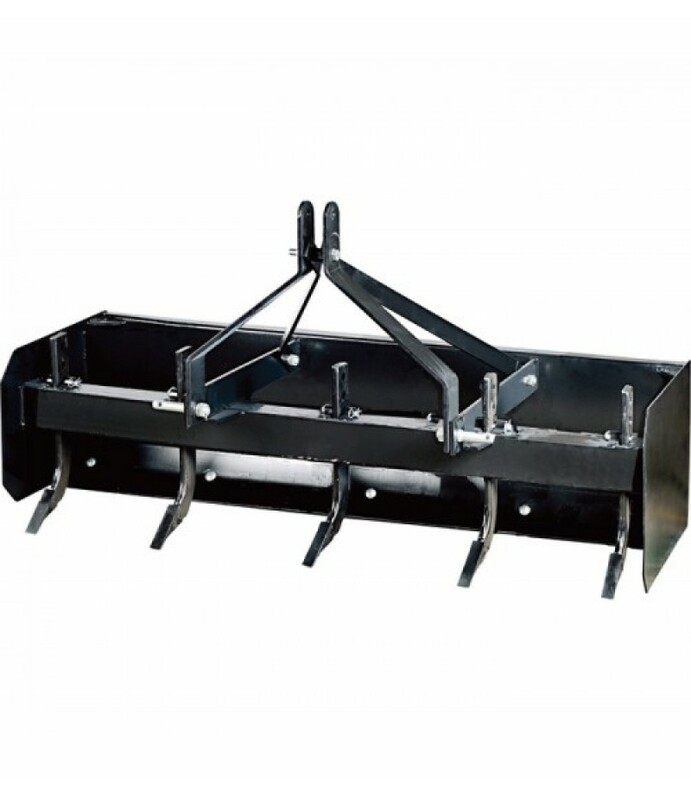 Box Scraper has a rugged welded steel frame with reversible 1/2in. x 6in. high-carbon steel blade. 5ft. working width. 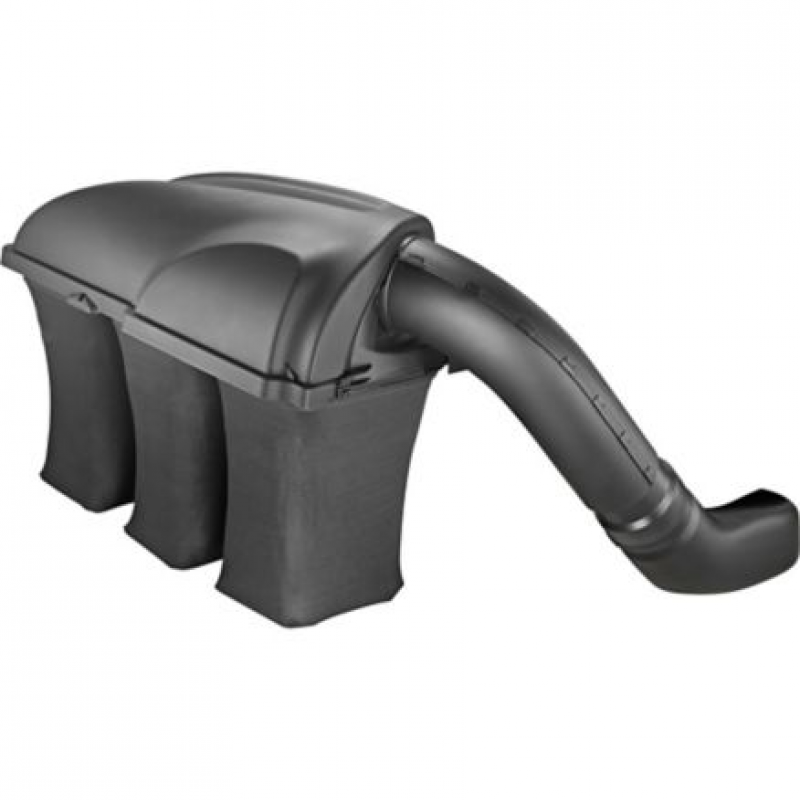 Recommended for tractors with no more than 50 HP.What's Included(1) Box scraperFeatures + Be.. The NorTrac® 3-Pt. 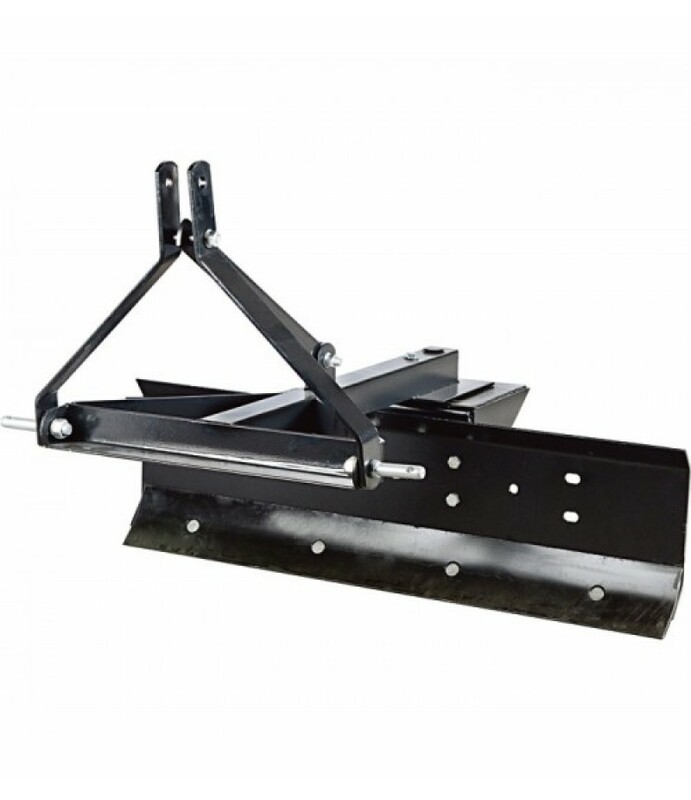 Box Scraper has a rugged welded steel frame with reversible 1/2in. x 6in. high-carbon steel blade. 6ft. working width. Recommended for tractors with no more than 50 HP.What's Included(1) Box scraperFeatures + Be.. This NorTrac 3-Pt. 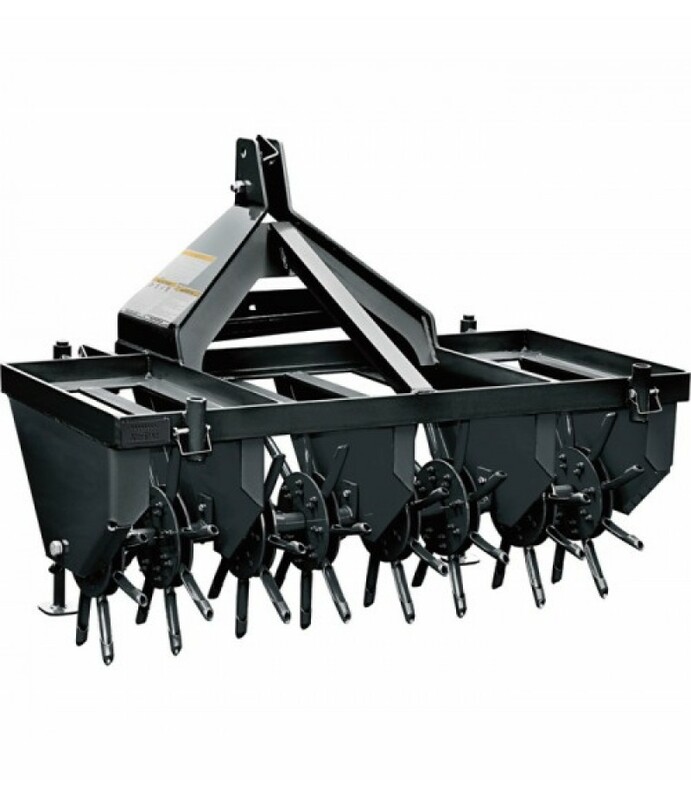 Core Aerator is a strong, steel-framed Category 1 aerator that's ideal for use on lawns. Features 1,000-lb. additional capacity to help increase ground penetration spikes. For use with 20–65 HP tractors.What's I.. The NorTrac® 3-Pt. 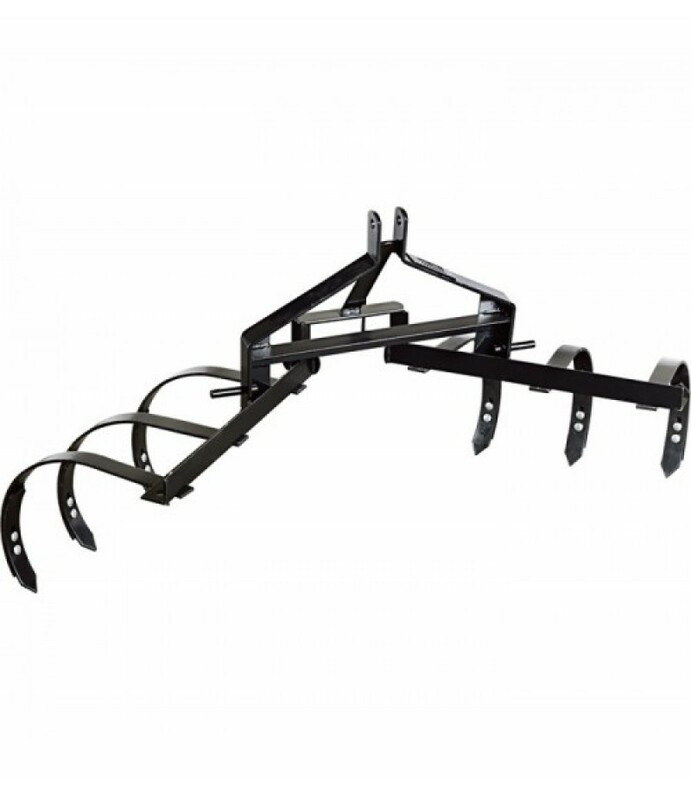 Cultivator has a rugged welded steel frame with 6 reversible heat-treated shovels to get the job done right. 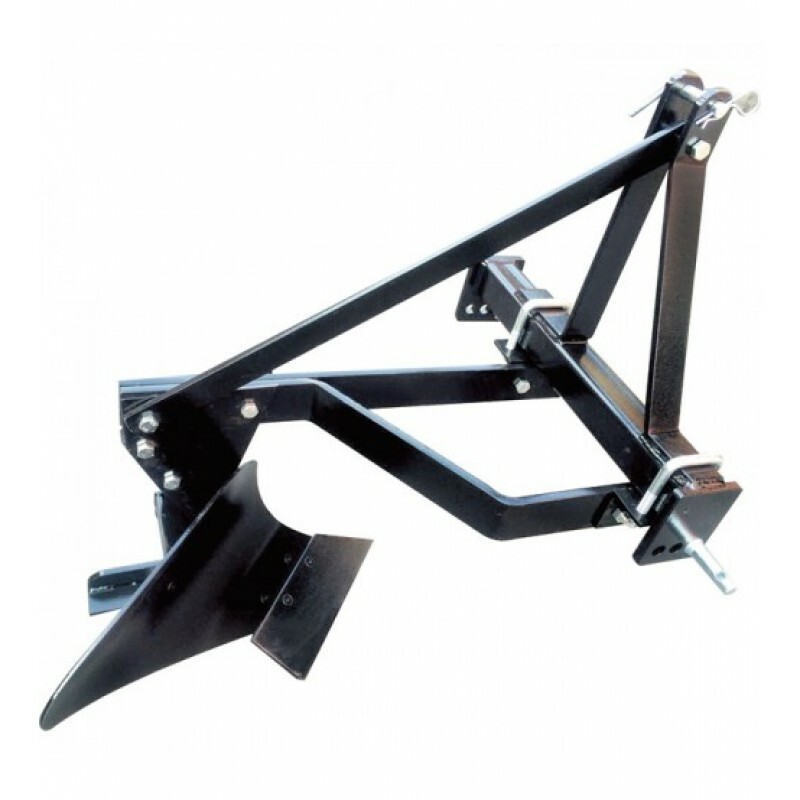 Recommended for tractors with no more than 50 HP.What's Included (1) CultivatorFeatures + Benefit.. 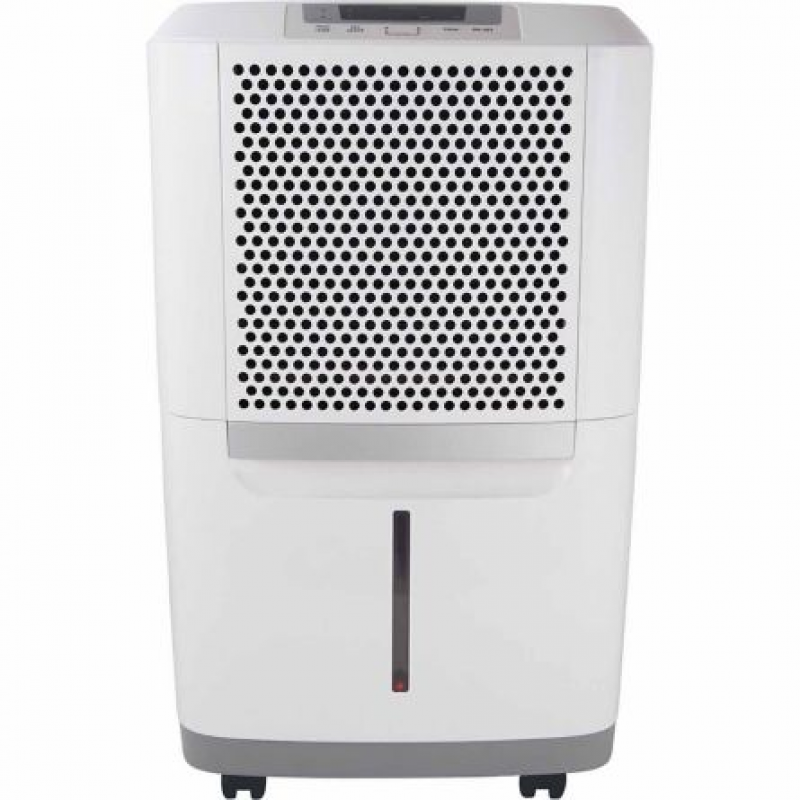 This NorTrac® 3-Pt. Grader Blade shows its versatility with an adjustable moldboard with reverse and forward positions, and a reversible high-carbon steel blade. 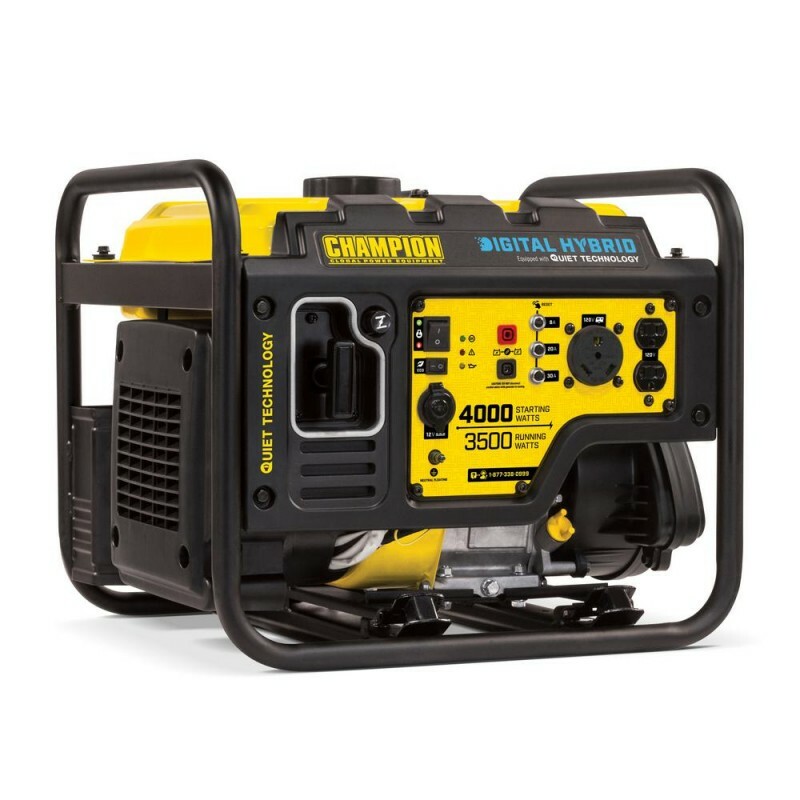 Recommended for tractors with no more than 50 HP.What's Included(1) .. This NorTrac® 3-Pt. 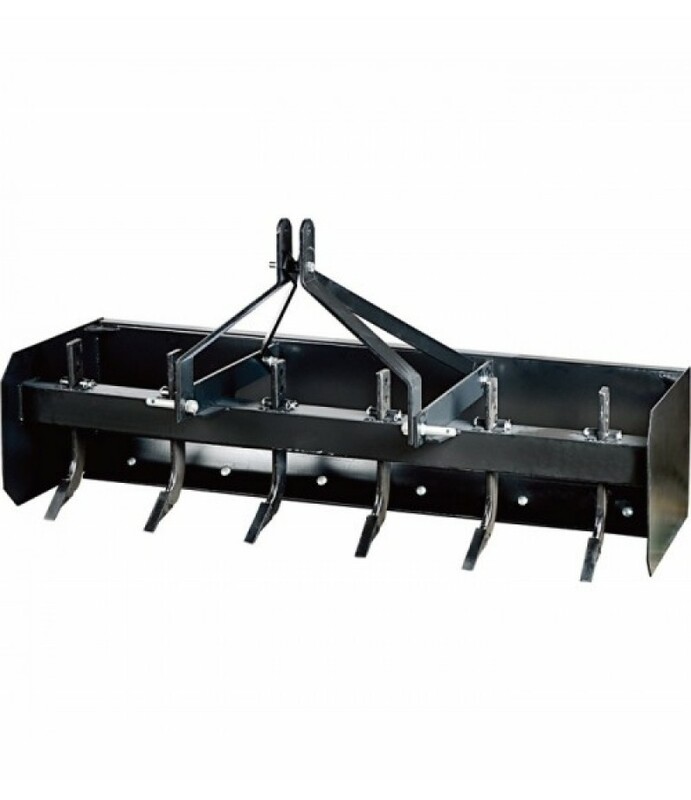 Landscape Scarifier Rake is a tough Category 1 implement that can be used for spreading rock, moving debris, preparing seed beds, reshaping soil and/or aggregate profile, and more. 5ft. wide unit provides excel..